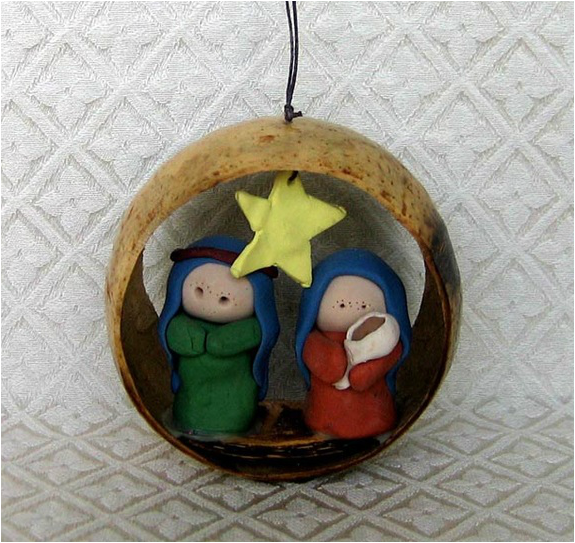 This Nativity contains Joseph and Mary holding baby Jesus, made from polymer clay. The Holy Family sits inside a disk made from a real coconut shell. The clay figures measure 2 inches tall. The coconut arch measures approximately 3.5 inches in diameter. The disk is too heavy to hang on a tree as an ornament, so we call it a window hanging.